Click image to enter Facebook. For a limited time only. 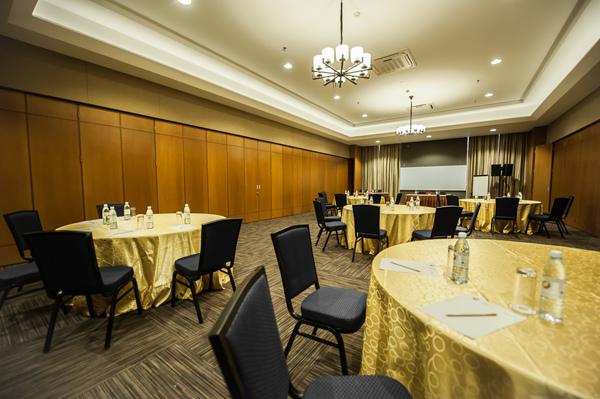 I came across a venue that provides a banquet hall, a meeting conference and also a place for corporate and private events. If you happened to be in KB town (Kuala Belait), then this is one of those choices that you can consider. 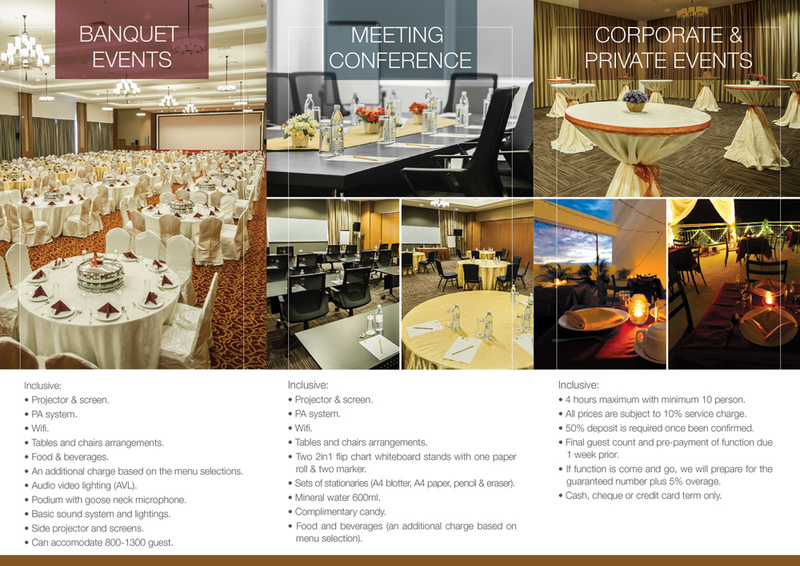 If you look at the banquet hall, it’s surprisingly huge where it can accommodate 800 to 1,300 guests. For those who are keen, you can refer to the meetings & events factsheet below for the price range. • Cash, cheque or credit card term only. These facilities are now available at Garden Sentral Hotel, Kuala Belait. 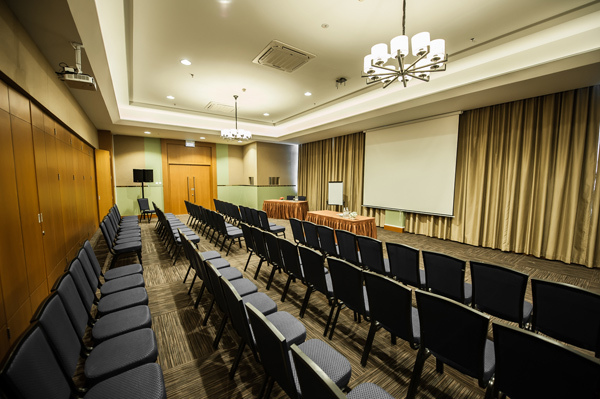 The meeting/conference room is located on 3rd floor while the banquet hall is located on the 6th floor of the Garden Sentral Hotel. 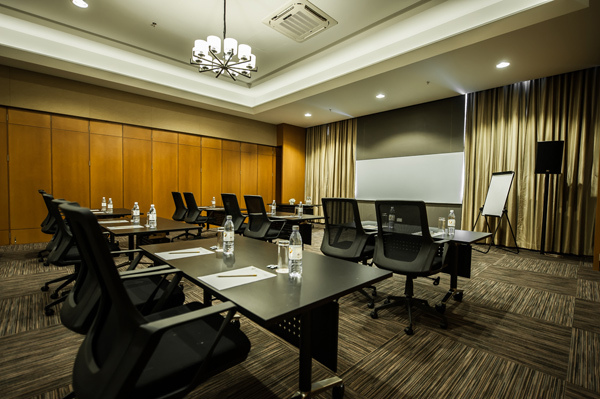 For more information, you can call 333 8333 or you can email inquiry at reservations@gardensentralhotel.com You can also follow them on Facebook and Instagram @gardensentralhotel for updates. 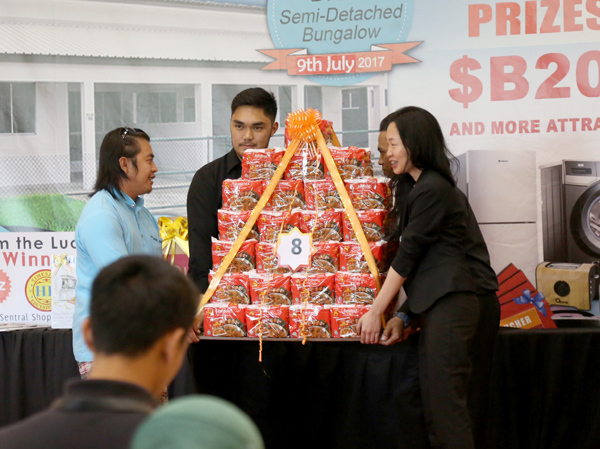 Sentral Shopping Centre (also known as KB Sentral by many) has just completed the 4th Series of its Second Lucky Draw Campaign on Sunday, 9th July 2017 by 4pm yesterday. It was efficient and smooth considering the estimated 1,800 short-listed coupon holders that showed up yesterday. 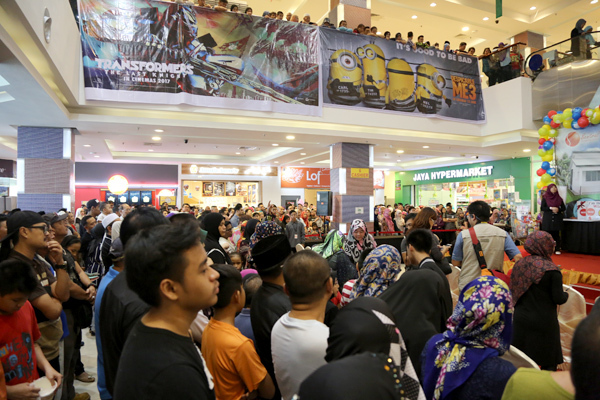 Sentral Shopping Centre was filled with a huge crowd of hopeful winners. 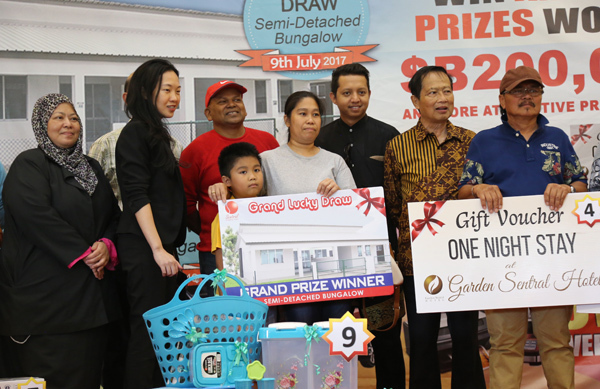 The prizes range from household appliances to meal voucher to even a huge indo mee hamper to a one night stay at Garden Sentral Hotel as well as semi-detach house as the grand prize. 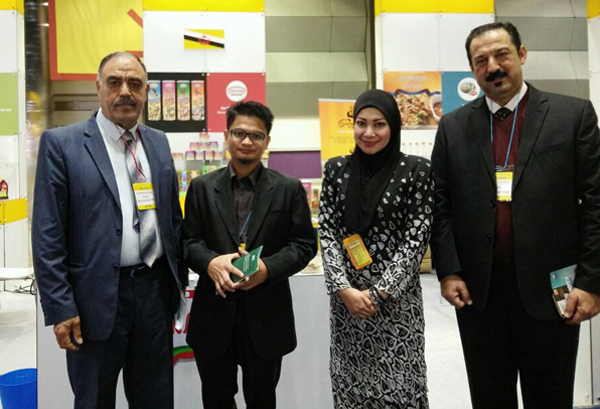 The Guest of Honor for the Grand Lucky Draw was both the Vice President of Federation of Brunei Malay Entrepreneurs (PPPMB) Yang Mulia Dr Haji Jumat bin Haji Idris and, Yang Mulia Mr K Salim BA Karim (Salimo), President of the Indian Association Belait. A total of 15 prizes were given away yesterday including four prizes for quiz questions opened to the floor. 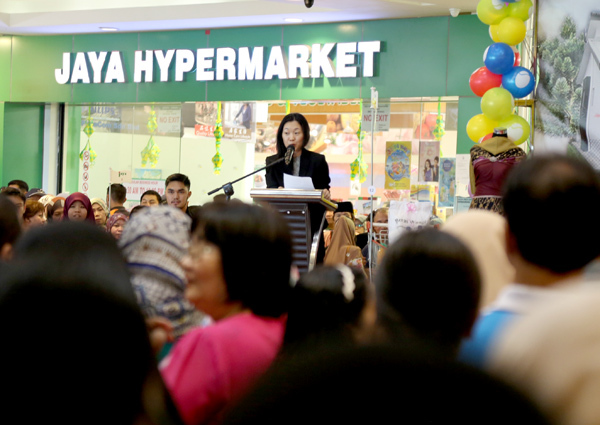 The event commenced with a welcoming speech by their General Manager, Abby Lim. 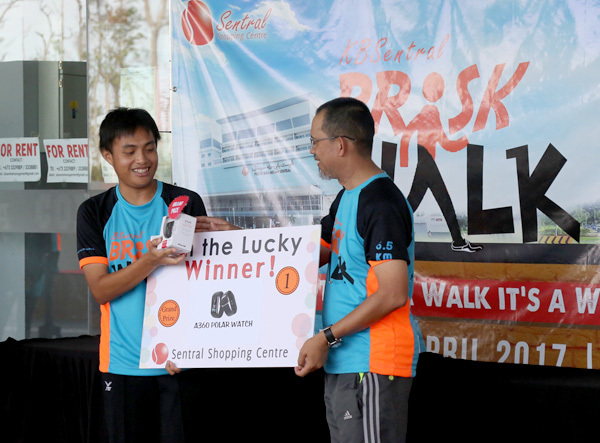 Soon after, KBSentral Marketing and Event Manager Ahmad Anwar Hj Rosly, proceeded to draw the first batch of winners. It was then followed by Abby Lim to draw another set of winners. Mr Salim drew another set of lucky winners. 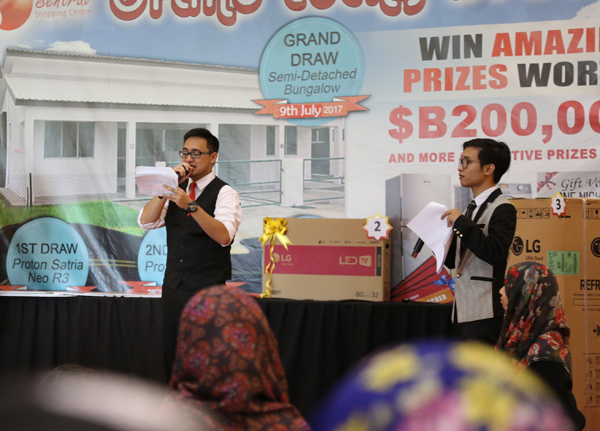 In between the draws, quiz questions were asked to the audience and the prizes to these quiz questions were sponsored by tenants under KBSentral Shopping Centre. 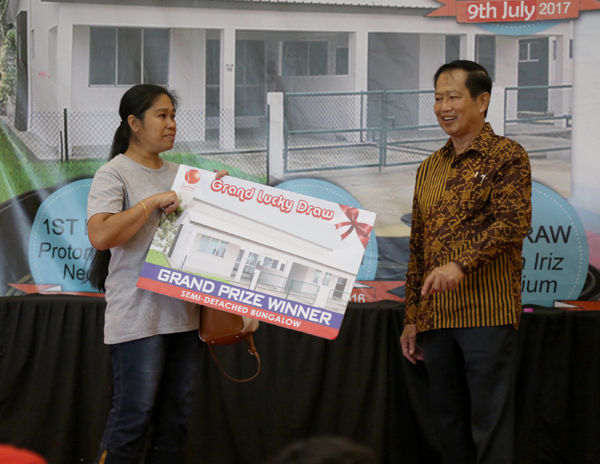 The Guest of Honour then proceeded to draw the top set of lucky winners including the grand prize. 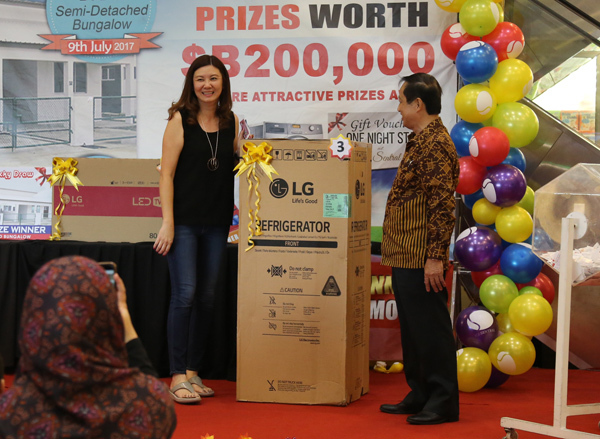 The third place winner went to Miss Chai Lee Ping and the winner have won a brand new LG Refrigerator and the second place winner went to Miss Nurul Eda Abdullah who won a brand new 32” LG LED TV. 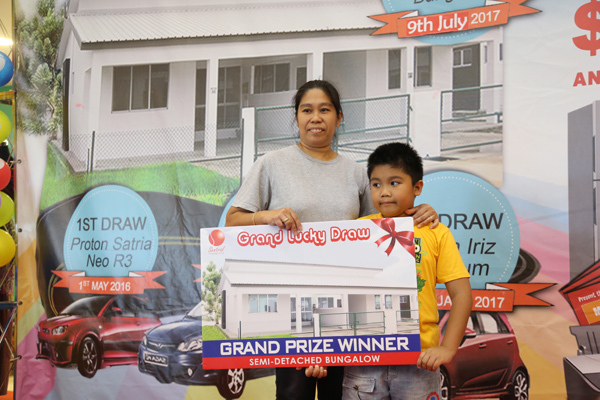 The Grand Prize Winner of Sentral Shopping Centre Grand Lucky Draw, the fourth series, and proud owner of a new semi-detached bungalow was Miss Alma Salvaloza Tamayo. It was no surprised that no coupons were burnt or how we called it “hangus” when one doesn’t show up. 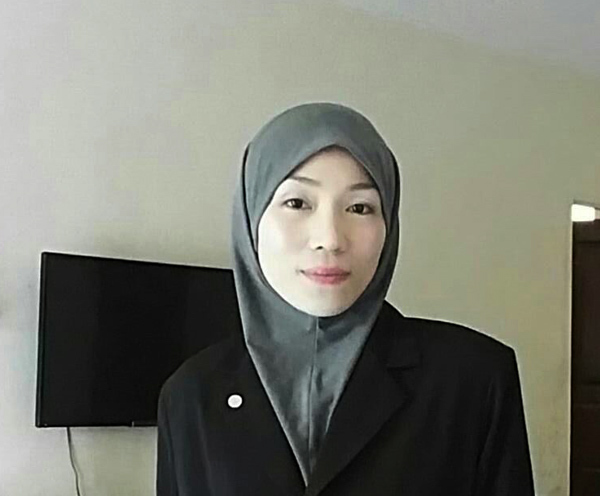 However, it wasn’t a 100% success rate as the grand prize hit an anti-climax as the supposedly grand winner Hazizah didn’t showed up after her name was called three times. Hence the second announcement was made and lucky grand winner Alma Salvaloza Tamayo was surprised that her name was called out. 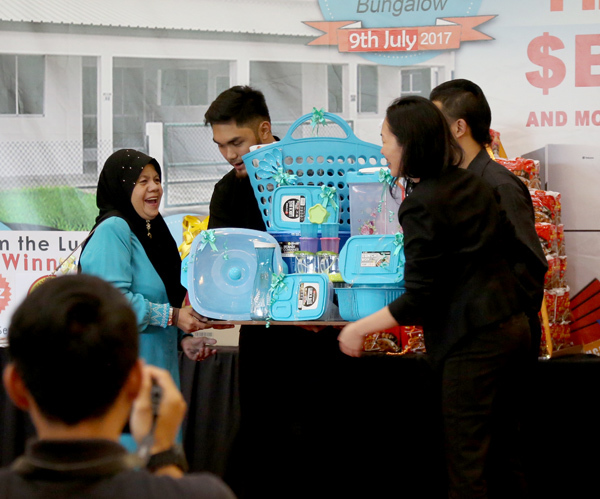 Living in Panaga, she was over the moon that she won a place to stay as she was searching for a house in Brunei. Prior to the lucky draw, the coupon holders were reminded to be present at the Grand Lucky Draw presentation, along with their Identity Cards (IC) as proof of identity and their Lucky Draw coupons. Representatives were allowed, but they must bring along their own ICs, as well as the photocopy IC of the winner along with the original coupon. Do follow them on Facebook and Instagram @kbsentral for all the latest updates on our upcoming event activities! 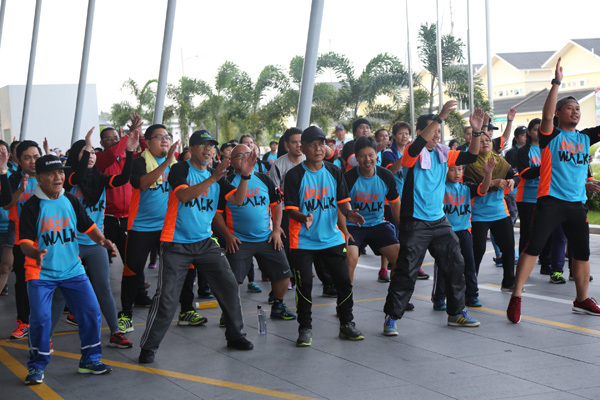 In conjunction of World Health Day 2017, Sentral Shopping Centre (KBSentral) hosted the KBSentral Brisk Walk that took place starting and finishing at the Car Porch Area of Sentral Shopping Centre yesterday 30th April 2017. 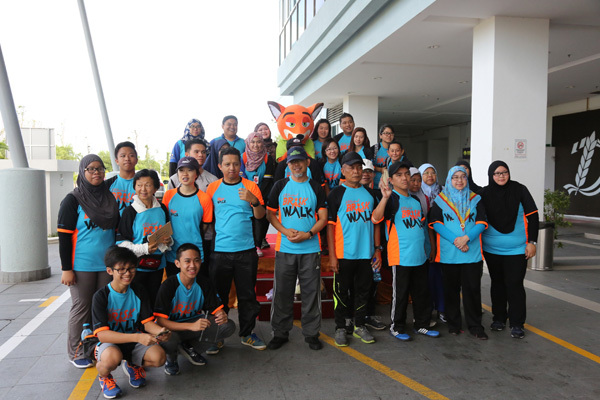 About more than 280 participants registered to join the event where they were all clad in a blue and orange striped uniform, emblazoned with The Brisk Walk logo along with its theme of Its Not Just A Walk, It’s a Workout. Hj Harris bin Othman, the Belait District Officer was the guest of honour and also present were village heads and invited guests, sponsors and partners of the event. 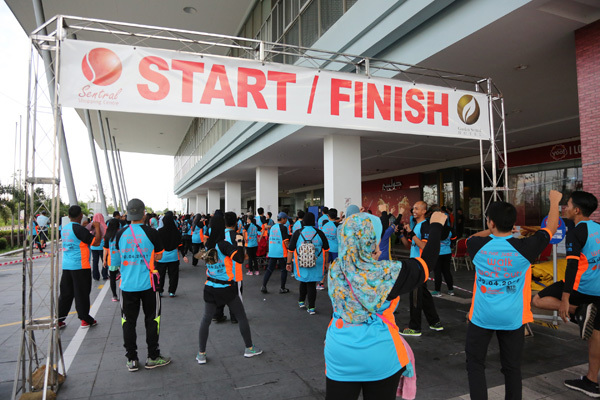 According to the organizer, KBSentral Shopping Centre, the objective for this event were to increase self-awareness among the public about the importance of maintaining good health, both physically and mentally; and to change the perception of those who thinks exercise is a waste of time and troublesome. 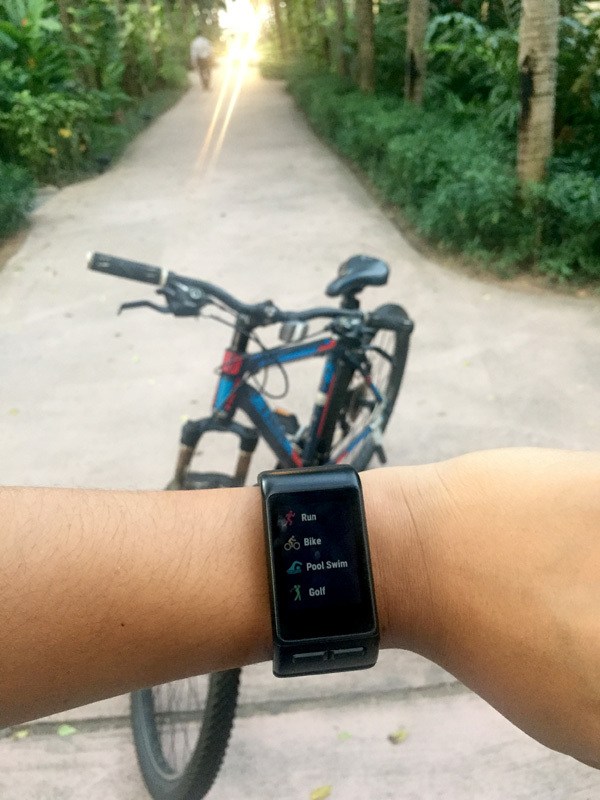 There was also a lucky draw for participants who registered for the walk with the A360 Polar Watch as the grand prize. 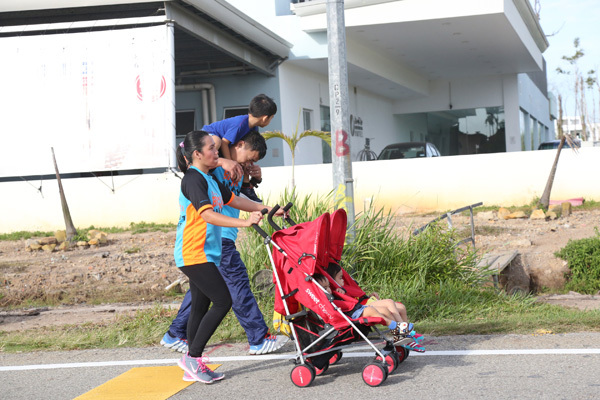 She also thanked the sponsors and partners for their support – REF Station, Origroce, Belait Police Station, volunteers from PJN Secondary School and Kemuda Institute, students from Pusat Eric Goh and Pusat Ehsan and also thanking her team from KBSentral Event. 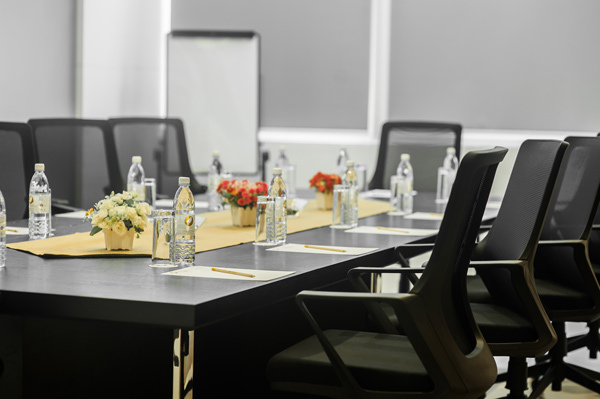 For further information, please call 3339889 or 8307788 during management office hours from 8:30am to 5:30pm every day except Sunday. 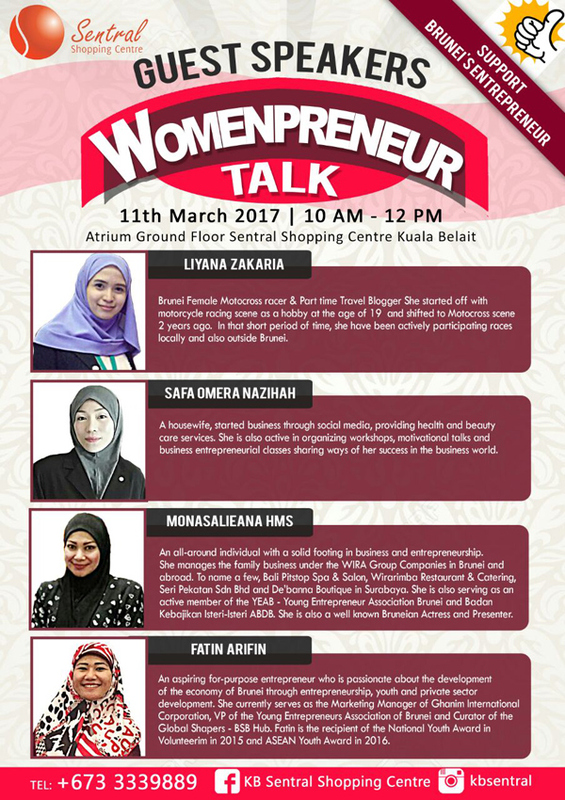 In celebration of Women’s International Day, four women from various industry and career background will come on stage to deliver their talk at the Womenpreneur Talk event happening at the Ground Floor of the Sentral Shopping Centre (KBSentral) in Kuala Belait this coming Saturday, 11th March 2017 starting 10:00am to 12:00pm. 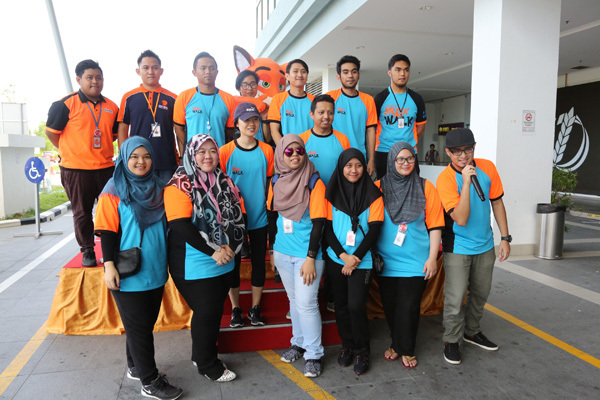 Organised by KBSentral’s Event Management Team (EMT), the event will be attended by students from various schools in Belait District, members from youth associations as well as members from the women’s associations such as PERTIWI to name a few. 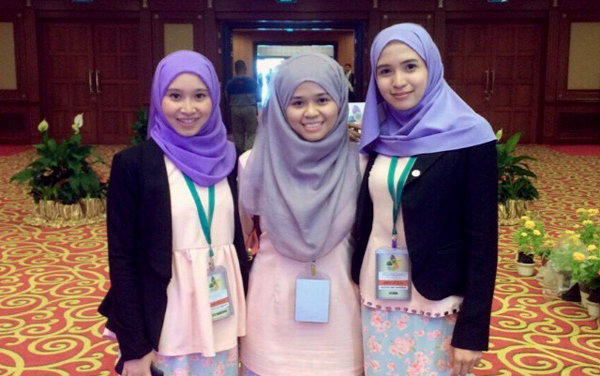 In following the theme of this year’s celebration which is Be Bold for Change, the four speakers namely Fatin Arifin, Monasalieana HMS, Liyana Zakaria and Safa Omera Nazihah will each spend 10 minutes delivering their motivational speech on becoming brave in making changes in their lives for a better future. Each will tell their stories of big courage, deep passion in their interest and their ultimate willingness to push forward. 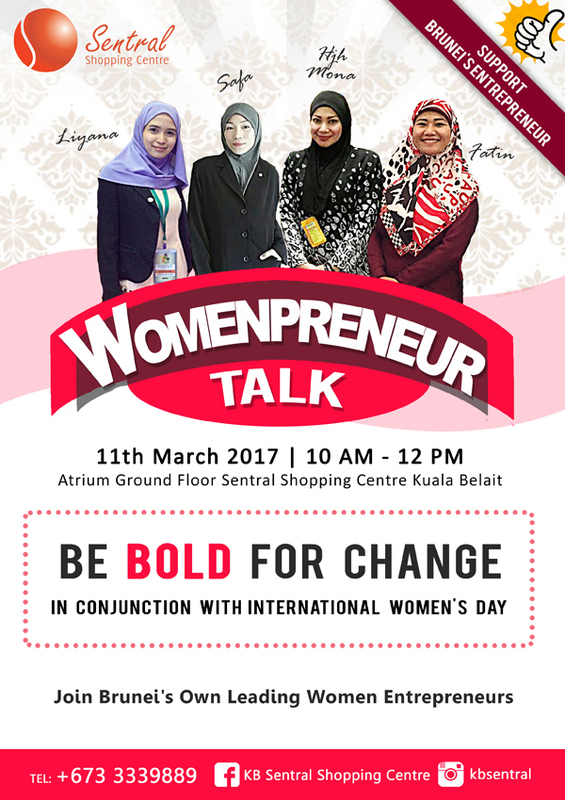 “It’s all about making a big impact in the audiences’ lives, and it is with my hope that these four speakers, all from various background in entertainment, business, sport and career-wise will help young women to realize their potentials,” Ahmad Anwar Rosly, KBSentral’s Marketing and Event Manager. The aim towards the audience is to influence, interact and inspire them to take a step forward, he added. “We believe young women nowadays can strive further in their career and passion onto a larger scale, learn to push the limit and aim for the sky so to speak,” he further stated. The Marketing and Event Manager is extending the invitation to everyone who are interested to attend the talk, which is mainly inspired by the concept of TedTalk. 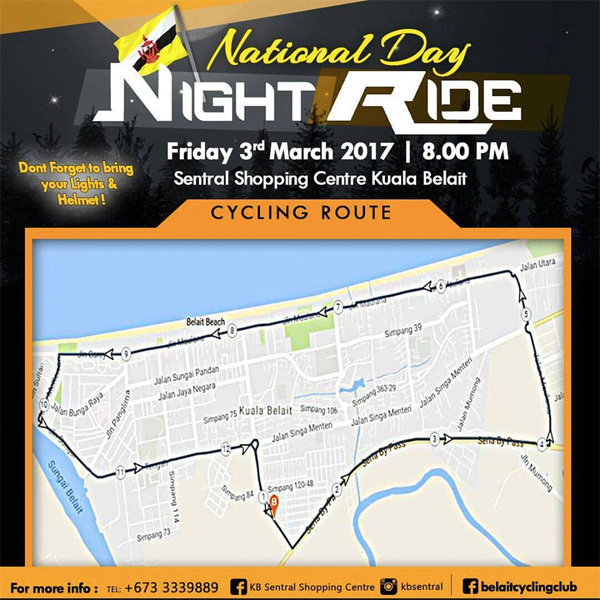 To commemorate the National Day, the Belait Cycling Club and Sentral Shopping Centre (KBSentral) are co-organizing the National Day Night Ride this coming Friday. 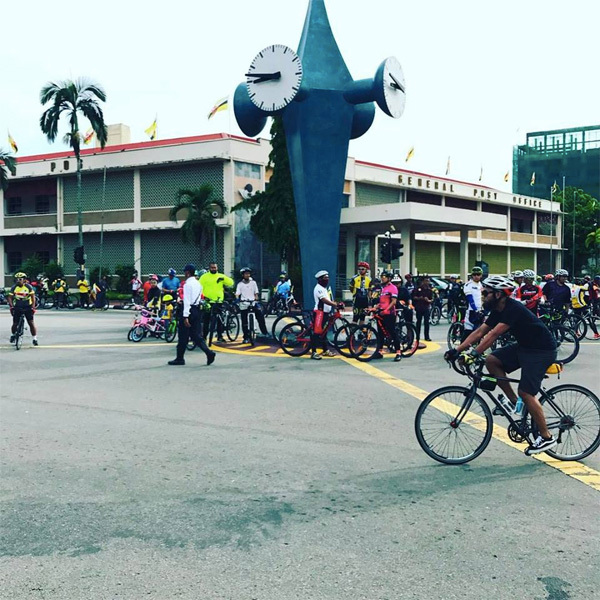 Previously running or jogging have been the trend in Brunei Darussalam but guess what… so is cycling as of late. 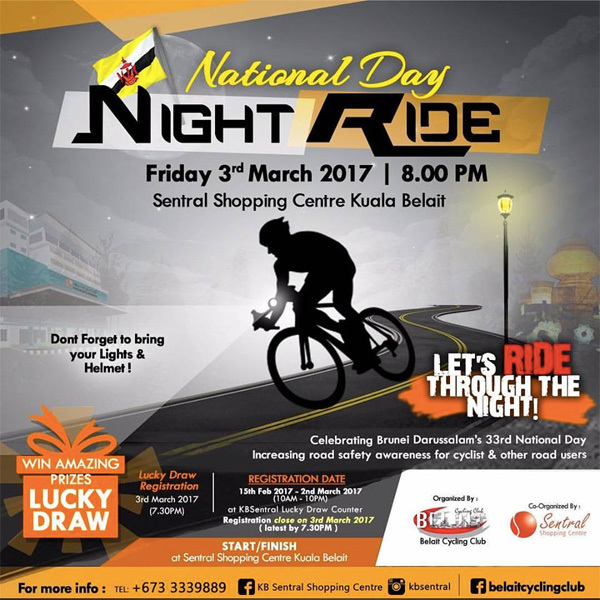 Bandarku Ceria event has also help to create more interest in cycling in Brunei and it’s good to see this hobby/sport raising in popularity. Even His Majesty the Sultan of Brunei and members of the Royal Family have been involved in cycling every now and then. REGISTRATION is open from now until 3rd March 2017 latest by 7:30PM! 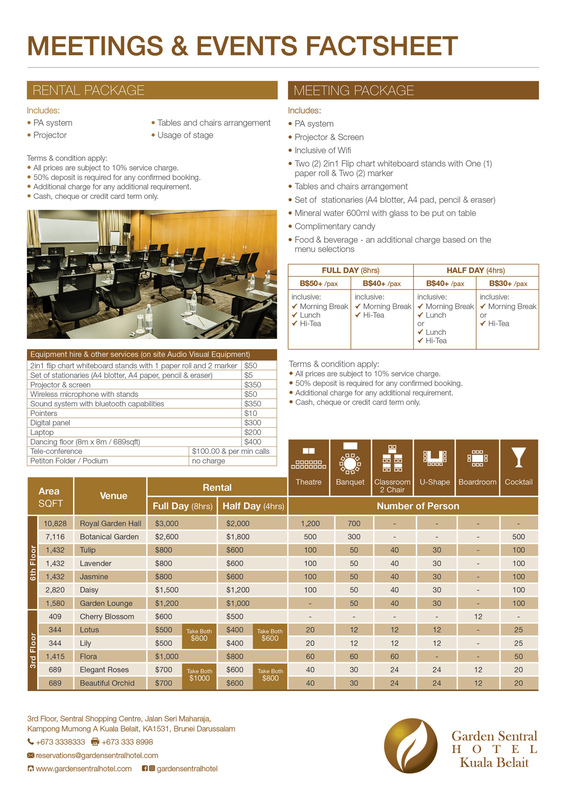 and for more inquiry, please call 3339889. 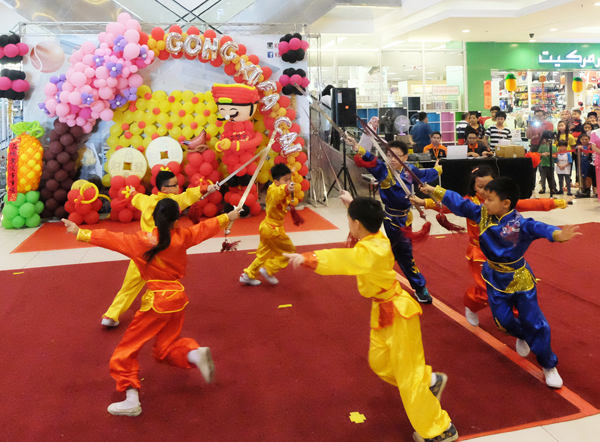 A Chinese Culture Week was organised and hosted by KB Sentral Event Management at KB Sentral Shopping Centre. 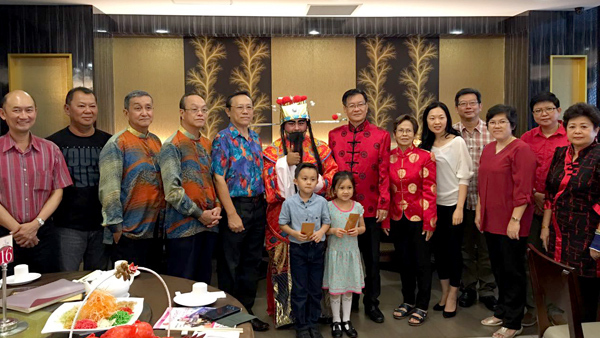 Present as the guest of honour was Chin Tze Yuan, the President of the Hakka Association last weekend. 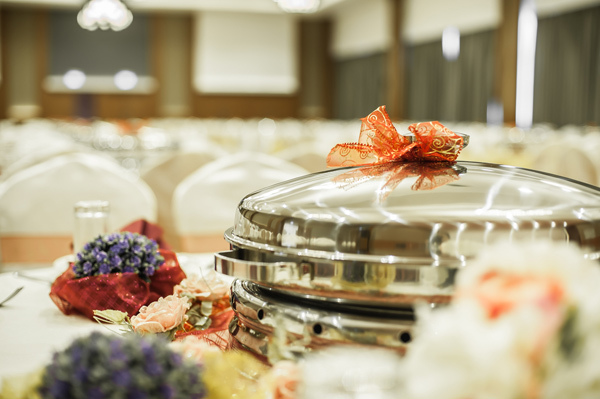 It was a celebration in conjunction with the recent Chinese New Year. 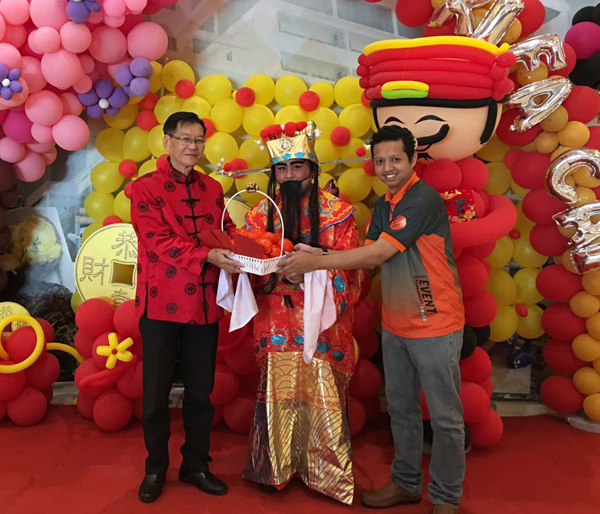 According to Anwar Rosli, the event manager and organiser of the event, yesterday’s celebration showcased the richness of Chinese culture and celebrates the diversity of the many cultures in Brunei. 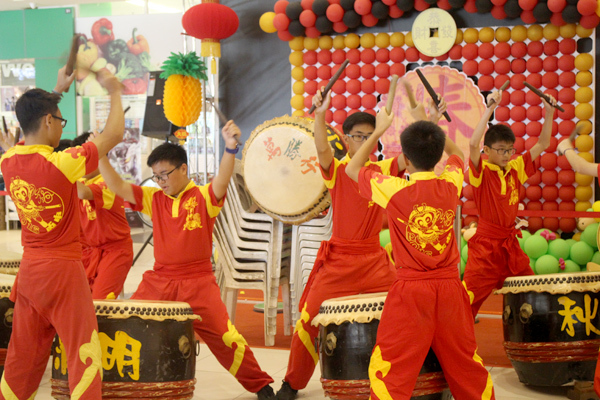 There were performances by Chung Hwa Middle School in Kuala Belait, such as Wushu (martial arts), drum performance and Chinese cultural dance. Yes, we do have talents among our locals. 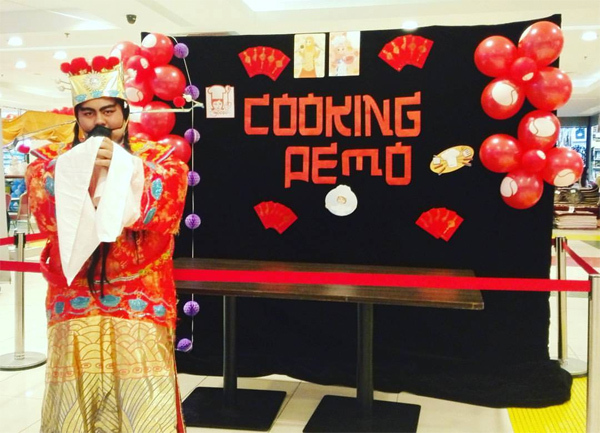 Along the way, they had numerous activities such as cooking demo, orange eating competition and colouring activities. 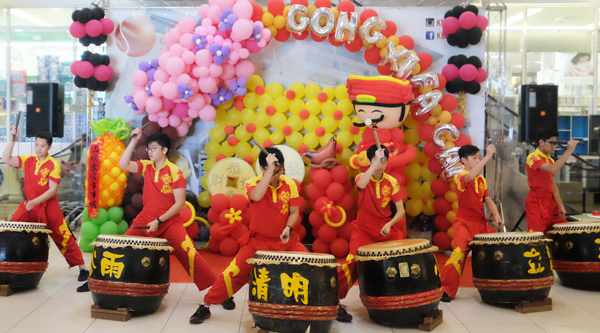 There was also Angpow or red packets and oranges giveaway as part of the activity at the atrium of Sentral Shopping Centre for all our customers in light of the ongoing festive spirit! 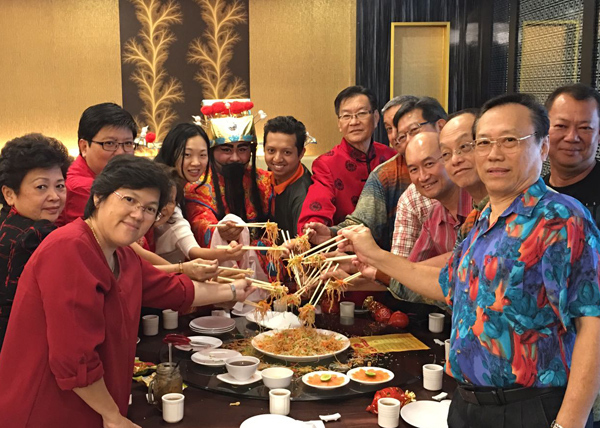 At the end of the event, the guest of honour and staff of KB Sentral took part in the tossing of ‘Yee Sang’ (prosperity toss) as a symbol of abundance, prosperity and vigour for the year of the rooster. To all shoppers at KB Sentral can join in on their Monthly and Lucky Draw campaign and there will be their February Monthly Lucky draw which a PS4 console game is up for grab as the grand prize will be held here on the 26th February at 4pm while the next Grand Lucky Draw with a bungalow house as the grand prize will be held on July 9th, 2017. 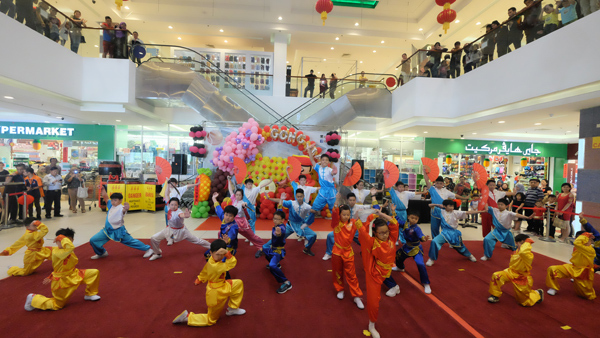 Sentral Shopping Centre is pleased to announce that there will be a Chinese Cultural Week from 1st to 10th February from 4pm to 6pm as to celebrate the Chinese New Year. 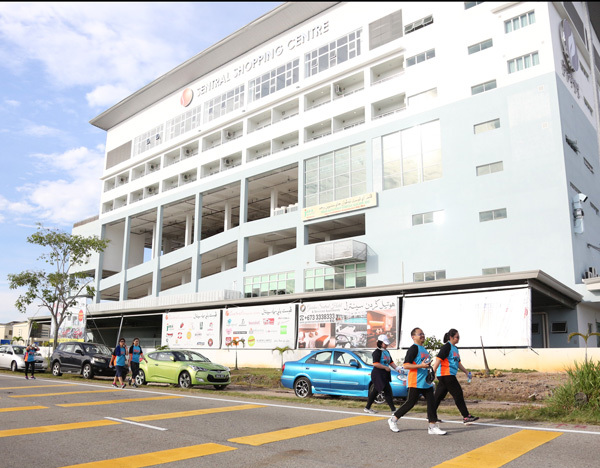 Chung Hwa Middle School will be taking an active part in the Chinese Cultural Week with Wushu performances, Chinese cultural dance and drumming will be performed by them on the 10th February 2017. On 10th February 2017, there will be an opening ceremony by Mr. Chai Tze Yun Hong, President of Hakka Association, at 2:30pm. Colouring activities will be held on the 4th Feb 2017, at 5pm open to 8 – 12 years old. 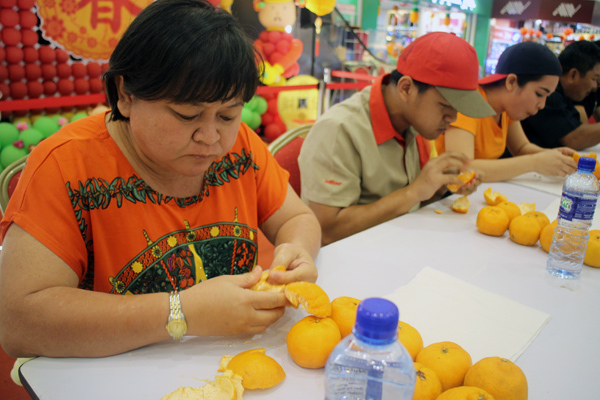 On the 3th – 5th Feb 2017 there will be Orange Eating Competition open to 18 years old above and max of 5 participants per session. Registration form can get at our Lucky Draw counter or 3rd floor management office. 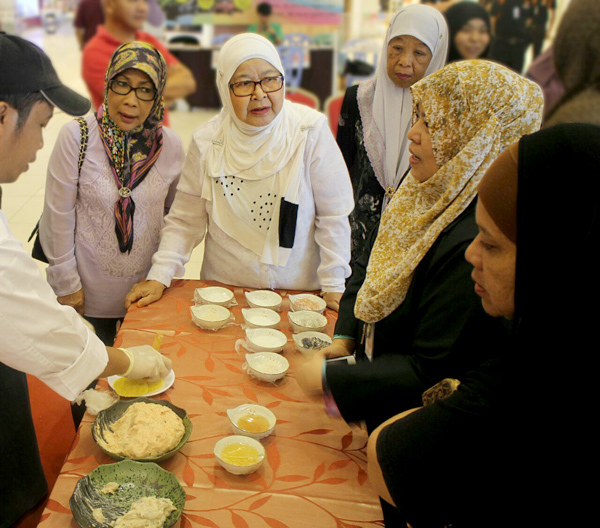 Cooking Demo will be on the 3rd February & 4th February, 1st Floor Sentral Shopping Centre. The menu for the cooking demo will be Steamed Prawn Dumpling, Hot plate, Yam Basket w Chicken Chestnut and Butter Prawn w Spring onion. This cooking demo will be demonstrated by the head chef from KBSentral, Chef Sofia. Registration forms are available at Lucky Draw Counter. 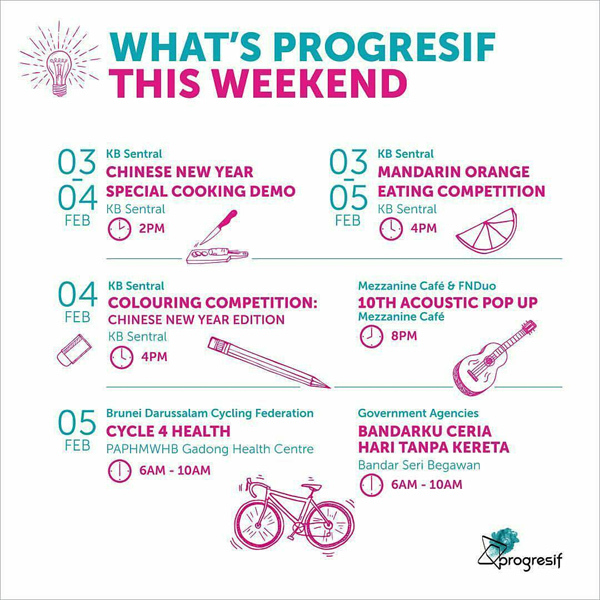 There is also Angpow or red packets and oranges giveaway as part of the activity at the atrium of Sentral Shopping Centre for all our customers in light of the ongoing festive spirit! To be able to get the Angpow and oranges, customers need to visit the shopping centre as often as they can during the 10 days event. Also Chinese Theme Photo Booth available for customer to take photo and customer can tag us for Instagram @KBSentral and facebook KBSentral Shopping Centre. The Management of Sentral Shopping Centre would also like to take this opportunity to wish all customers a prosperous Chinese New Year! 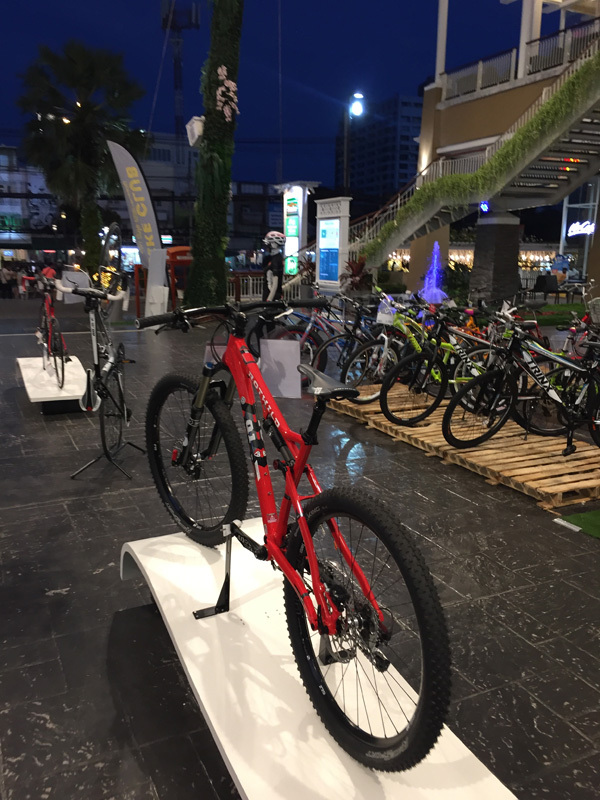 If you need further information, please call 3339889 or email to kbsentralmarketing@gmail.com or you can follow their updates on social media @kbsentral instagram or Sentral Shopping Centre Facebook page. 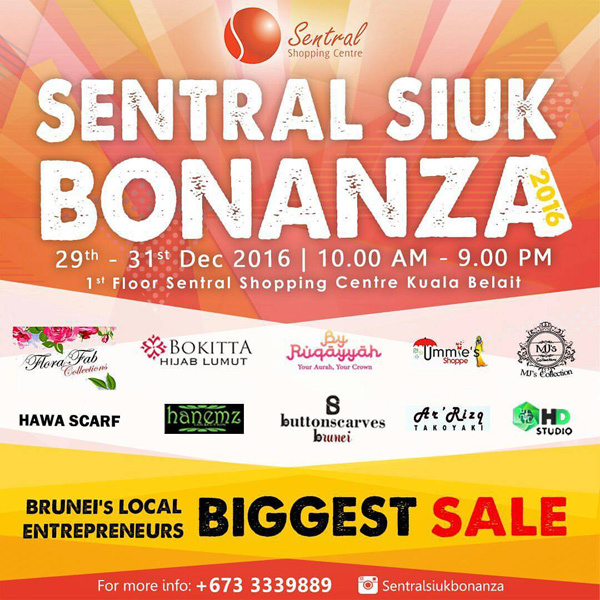 Sentral Shopping Centre has just completed its Monthly Lucky Draw for the month of December last Satuday, 24th December 2016. 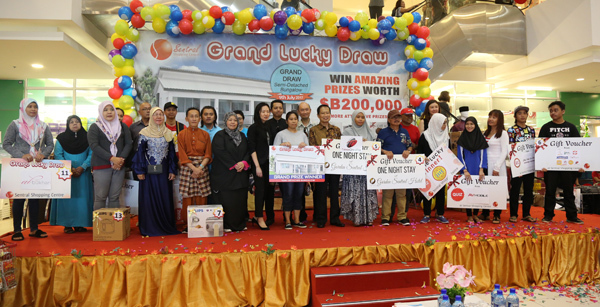 With about 500 short-listed, Sentral Shopping Centre was filled with a huge crowd of hopeful winners but only 15 lucky ones were picked. 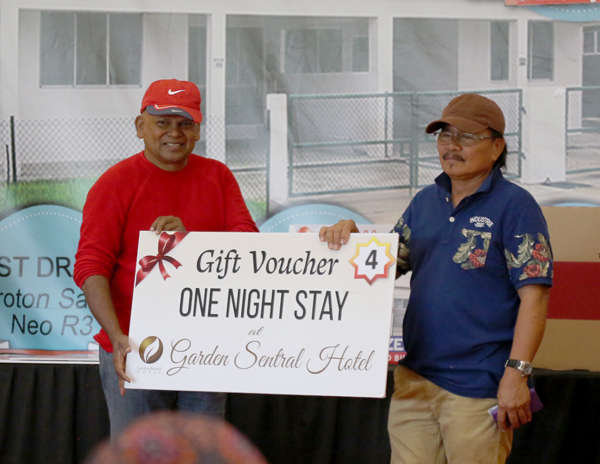 The prizes range from household appliances to meal voucher to one night stay at Garden Sentral Hotel as well as a LG DVD Home Theatre System for the first winner prize. 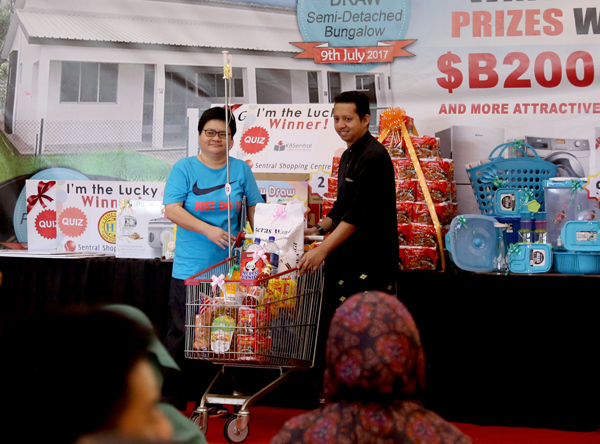 The Guest of Honor for the Grand Lucky Draw was Yang Mulia Awang Hj Mozni bin Hj Anuar who is the RTB Kuala Belait Station Manager. A total of 15 prizes were given away. 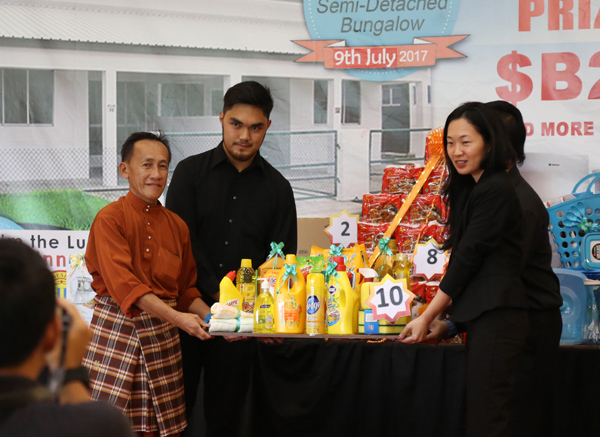 The event commenced with a welcoming speech by the Marketing & Events Manager, Ahmad Anwar Rosly, who proceeded to draw the first 5 winners. 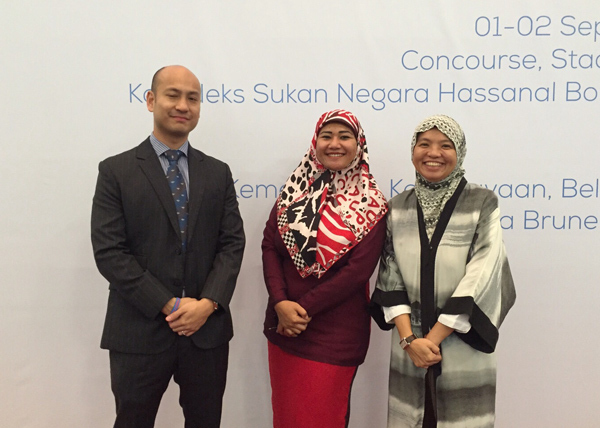 It was then preceded by the PEMBELA President Atikah Rumaizah Dr Hj Harun, to draw another 5 winners. The guest of honour Awang Haji Mozni then proceeded to draw the other 5 top lucky winners. 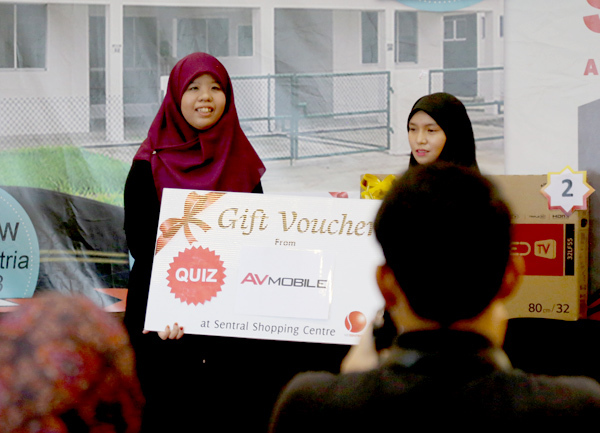 In between the draws, quiz questions were asked to the audience and the prizes to these quizzes were Cash Vouchers from various outlets under KBSentral. 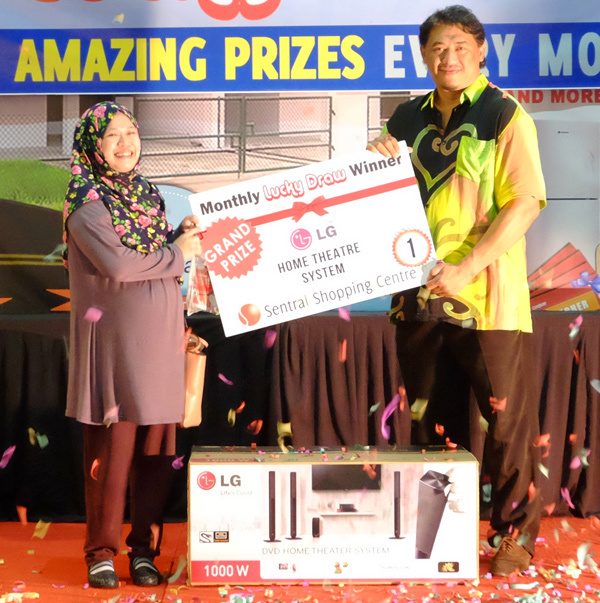 The first prize winner was won by DAYANG NOOR KHAIRIYAH who won the LG DVD Home Theatre System. 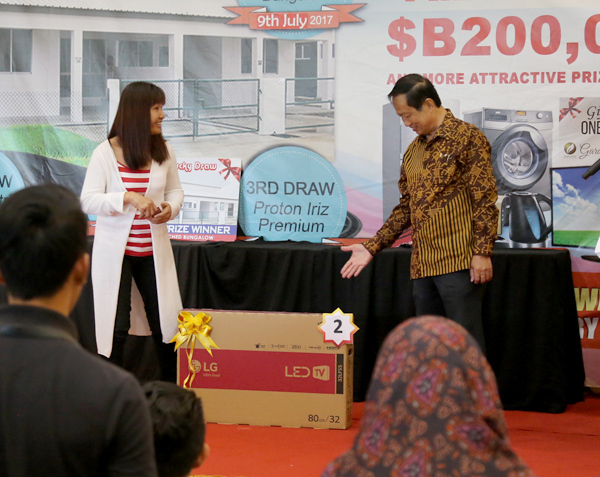 Lucky Draw coupon holders were reminded to be present at the Grand Lucky Draw presentation, along with their Identity Cards (IC) as proof of identity and their Lucky Draw coupons. Representatives were allowed, but they must bring along their own ICs, as well as the photocopy IC of the winner along with the original coupon. 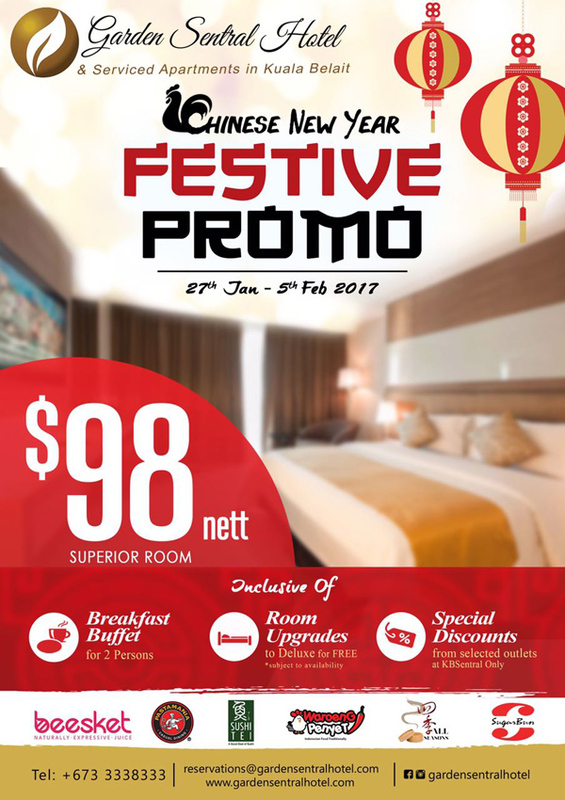 Sentral Grand Lucky Draw the third series will be on 8th January 2017 and the final series on 9th July 2017. Do follow them on Facebook Page and Instagram @kbsentral for all the latest updates on our upcoming event activities!